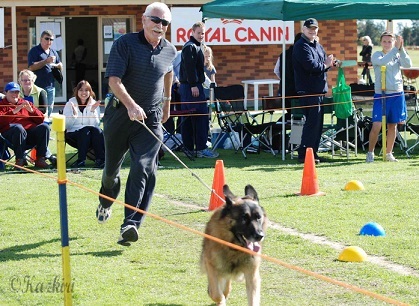 Can Reinforcement Backfire With German Shepherds? 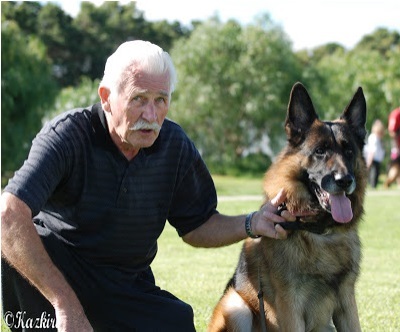 Why is Dog Ownership Important After Retirement? "Behavioral Intervention" is the right phrase to be used when it comes to positive reinforcement to correct undesirable behavior in your dog. German Shepherd is a power breed and any kind of behavioral disorder, however mild it be, needs to be corrected at the very early age. Behavioral Intervention is a systematic plan engineered for a particular dog to teach the dog to change his or her specific behavior(s). Behavioral Intervention strategies are masterfully designed to target the modifications of specific habits, and simultaneously positively reinforcing the alternative desirable skills in your dog. Positive Reinforcement, as we also call it Positive Motivation Training is a highly effective and scientific method to shape and/or re-shape your dog's behavior. It involves including a motivational item - "Reward", as we call it, into the training process to motivate the dog to act as desired on command. Canine behaviorists have noticed that food acts as a better motivator than any other motivation factor in a rewards based training process. In Positive Reinforcement training methods , as a rule of thumb, the reward is presented to the dog after the dog shows the desired behavior, thereby ensuring the particular behavior more likely to be exhibited by the dog in future for same situation(s). The Behavioral Intervention + Positive Reinforcement have to be very strategic and hugely demands a professional's attention. The reinforcement training methods can immensely backfire if implemented wrongly and unplanned. There's a popular belief that too much of dependence on reinforcement by rewards gets quick results, but not long lasting. This is, however, a myth. Reward based reinforcement training has an everlasting effect if correctly done. Yes, with novice hands reinforcement training can immensely backfire, leaving your dog with reinforced undesirable habits. Novice trainers and newbies usually fail to identify the most significant points required for an effective Behavioral Intervention Plan. This will certainly backfire and adversely affects your dog’s learning process. Most importantly, as a trainer you must identify the specific "behavior(s)" that actually need "intervention". In this process many new trainers mistakenly confuse with which specific behavior(s) should be intervene, and how should the Reinforcement Plan be formulated. Thus, many trainers have been noticed to have ended up with reinforcing wrongly, leaving the dog being reinforced on bad behaviors only. Point - 1: Praise Only Those Accomplishment That Have Been Consciously Accomplished - Not Accidentally Accomplished. Point - 2: Praising at The Right Point of Time is Important. Dogs Live on Time. Rewarding Your Dog a Few Minutes After The Desired Accomplishment May Have a Different Implication. Therefore, Trainer's Attention is a Mandate. Point - 3: Motivator (Reward/Praise) Should be a Real Motivator. If The Dog Doesn't Get Motivated With The Reward Used, The the Reinforcement Training Process is Bound to Backfire. Point - 4: Priorities and Preferences Are Important. Not Every Behavior Needs To Be Treated As Undesirable at a Give Time. Point - 5: Consistency is the Key To Success. 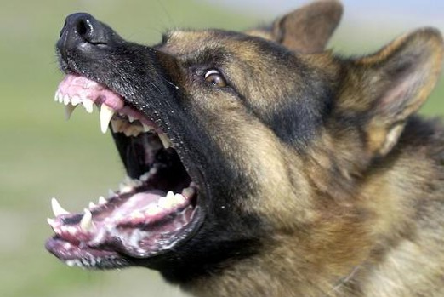 If The Trainer is Inconsistent and Non-Repetitive in Rewarding, Then Reinforcement Won't be Effective, And May Even Backfire, as the Inconsistent Behavior of his Pack Leader (Trainer) Will Confuse Him. Point - 6: Its Important to Consider Exercises and Socialization as Integral Part of Reinforcement Training. Socialization is Not a Separate Process. i. Antecedent(s): Antecedents are the stimuli/stimulus that triggers a specific behavior or a specific set of behaviors in your dog. These stimulus can be certain situations, any specific event(s), any particular person or any indecent. An antecedent can stimulate the dog to exhibit bad as well as good behavior. Therefore, it is important to identify the Antecedent(s) prior to creating a Behavior Intervention Plan. Wrongly identifying the antecedents may lead to incorrect reinforcement in the training process, thus resulting to backfire. ii. Behavior(s): Behavior is what the dog does being stimulated by an antecedent. An assessment of specific behavior is of utmost importance, because the reinforcement training starts off with identifying the particular behavior that needs to be intervene. A trainer should target one specific behavior at a time rather than targeting a set of undesirable behaviors. This makes Reinforcement Training by Behavioral Intervention more effective and easier. In this process of modifying one single behavior of the dog, a trainer may have to address a set of undesirable behaviors that are collectively responsible for the particular single undesirable behavior, and modify each of them. Therefore, followed by identifying the Antecedent(s), it is important to identify the other behavior(s) that may be responsible for a particular behavioral issue. Failing to identifying all these correctly the entire Reinforcement Training session may adversely backfire. Post retirement dog ownership is something that can be considered as a kind of health advice – both physical and psychological health. Apart from some of the common facts that a well-bred dog can keep you active, and helps you fight loneliness after your retirement, a dog brings in a healthy structure and routine to your daily life and improves your quality of life. Very recently the American Heart Association reviewed studies exploring the correlation between health and dog ownership. The findings concluded that owning a companion dog helps having a controlled blood pressure and healthy cholesterol level. Chances of obesity and developing arthritis decrease due to the need for regular walk. Studies have shown that healthy interactions with therapy dogs effectively mitigate stress in dog owners. As effect of such interactions with companion dogs the humans tend to generate stress-bursting hormone oxytocin and controls the production of cortisol, the stress hormone. This hormonal change helps a stressed out, retired person feel relaxed. Interact with the dogs through physical contacts like hugging and petting them produced better results. A team of Italian researchers, noticed that introduction of a dog to Alzheimer’s patients showed gradual improvement in the patients' condition. As already mentioned above, owning a dog brings in a healthy structure and routine to your daily life.Your dog lives on a natural structure in her everyday life, which is bound to bring in a structured discipline into your life too.Your pet’s dependence on you for everything – starting from the play and walk to food reveals immense opportunity for you to establish a consistent routine as a responsible pet owner in your daily walks of life.Your dog will lick you awake to go for a morning walk, followed up a free play session, and then asking for her meal. This keeps you active throughout the day and helps you feel engaged, responsible and productive after you retire from your working world. How better can you kick start your day than by waking up with licks and hugs? Retirement should help you find a new way to wake up from your bed each morning. It is very pleasant way to start the day when some million dollar licks awake you up and you like to hug your dog, and find an immediate purpose to get out of bed. A majority of responsible dog owners are dog walkers, who get at least 30 minutes of exercise on an average each morning and evening. Regular walks in the morning and evening are great ways to stay healthy – both physically and mentally. Regular walks will ward off possible health issues like obesity, diabetes type II, hypertension, arthritis and loss of volume and strength of skeletal muscle mass (sarcopenia). Depression is quite common when you are retired from your working life. It pulls you back from meeting friends and going out with acquaintances. Benefits of dog ownership treads its way here. Psychologists say owning a pet – especially during your retired life adds a little more responsibility which, in turn, can introduce a positive note to your life. Sense of responsibilities towards a pet that entirely banks upon you helps you feel your worth and significance. Moreover, he/she will like to develop new contacts and meet other dog owners in the locality. This means he/she becomes more and more social. All these tend to keep the person in proper shape mentally. This is how dog ownership, in the retired life, is often implicated in relieving symptoms of depression– especially among elderly people after their retirement from working life. Research in the 1980s popularized the view owing a companion dog could have great health benefits in humans... including benefits ranging from lower mortality rates from heart attacks to lowering risks of asthma (in children) and reducing chances of developing cardiovascular conditions. However, modern researchers have found no direct link between owning a pet and health benefits. Therefore, previous conclusions could not be scientifically supported by modern studies. There’s still another proposal placed by modern researchers. According to them, pets help to enhance social interactions with more pet owners, thus have indirect effect on well-being. “Being Social” and “interaction with like-minded people” has long been recognized to have a tremendous beneficial effect on health by the way of alleviating symptoms of depression by reducing loneliness and social isolation. Pets – especially dogs therefore act as a catalyst for social interactions, leading to developing broader social sphere, thus contributing to better physical and psychological well-being in older people and those who have just retired from their works.